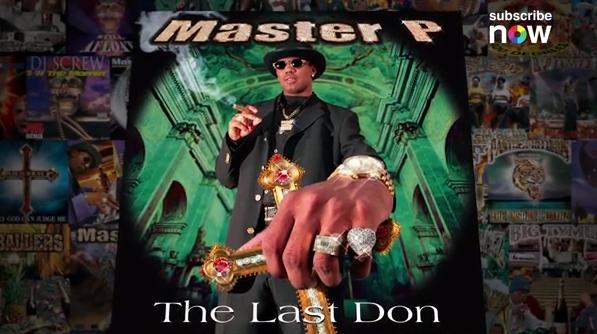 If you remember the run No Limit Records had back in the mid ’90s and early 2000’s, then this will be very dear to you. Especially if you were fan of them or the early Cash Money Records regime. A lot of artists in that era had a distinct cover to the albums that featured a lot of jewelry, diamonds, cars and gold font. The people responsible for that entire wave were Pen & Pixel. Noisey traveled to Oregon to talk to Sean Brotch about his time in that whole era of artwork and get the real scoop from the man behind it all. Brotch revealed why every album cover was over the top and how they accomplished that look for every client. He even went as far as to say that a lot of artists ended up achieving those type of riches that were portrayed in their covers. Interestingly enough, he also revealed how the term “bling bling” came about from a phone conversation with Birdman about an artist one day. If you’re wondering why he went from Houston to Oregon, he explains that too, saying that after 9/11 everything changed for him and his company. He said “downloading” contributed to his downfall, when executive producers stopped investing so much in artists after getting no returns.